The hospital denies the incident, despite sworn testimony. Doctors at a Manhattan hospital began cutting into a patient for a C-section only to discover the patient was not pregnant, a News 4 I-Team investigation has found. The mistake happened at New York Downtown Hospital and is described in videotaped depositions obtained by News 4. The depositions are evidence in a wrongful termination lawsuit filed in 2008. The suit was filed by a former NYDH doctor, Suarna Mehulic, who calls herself a “whistleblower” and believes her firing was retaliation for reporting incidents that she believed exposed dangerous practices in the hospital’s Obstetrics and Gynecological department. Two days after reporting her concerns to the New York State Department of Health, Mehulic was fired from NYDH. Hospital executives, in records obtained by News 4, claimed Mehulic was paranoid, combative and overall a poor doctor. In his deposition, the hospital’s senior vice president for operations and chief operating officer, Anthony Alfano, said he and others fired Mehulic for insubordination. The depositions also brought to light the botched C-section. “Was there an occasion when a C-section was performed on a patient at the hospital who was not pregnant?” a plaintiff's lawyer asked while deposing Dr. Lana Boter. Boter is on the hospital’s Quality Assurance Committee which, among other things, reviews cases of questionable patient care at the hospital. 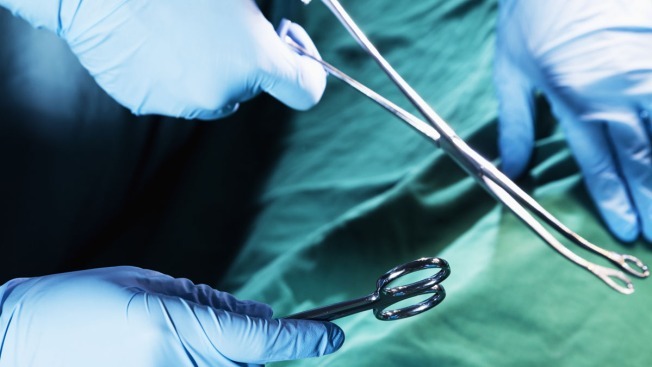 The botched C-section happened in 2007 and, according to Mehulic, the patient was 16 years old. News 4 could not independently confirm the patient’s age. This is the first time the incident has been publicly reported. “Was there a C-section on a patient who was not pregnant?” another plaintiff's lawyer asked Dr. Anca Rosca. According to her testimony, Rosca performed a sonogram on the patient but midway through handed over that sonogram to an attending physician and left the room before any surgery was started. After first affirming that a C-section was performed, Rosca downplayed the mistake. “Nobody cut into the uterus to do a C-section. That’s what a cesarean section is, to cut into the uterus,” said Rosca. “Was there any surgery at all done?” asked the lawyer. Due to federal privacy laws, the identity of the patient has not been disclosed. Citing confidentiality laws, hospital executives refused to discuss the case or verify the patient’s age. In fact, hospital officials deny the incident ever occurred, despite the testimony to the contrary by two of its doctors who were under oath. News 4 asked Mehulic how a doctor could perform a C-section on a 16-year-old who wasn't pregnant. Mehulic said she learned of the case after the patient returned to New York Downtown Hospital in the weeks following the botched C-section. complaining of pain in her pelvic area. Mehulic said the patient was asked about her medical history and the answers lead her to believe the patient was never told exactly what happened. News 4 asked Mehulic whether she believes the patient, who would now be 20 years old, is aware of what happened. “This patient doesn’t know what happened to her,” said Mehulic. He would not elaborate, citing confidentiality. After Mehulic was fired, hospital executives filed a complaint against her with the Department of Health, alleging 10 areas of professional misconduct. Investigators with the health department sustained one of the accusations against Mehulic and ordered her to undergo a psychiatric evaluation before further practicing medicine in New York. Mehulic chose to practice elsewhere, and is now in Texas. The botched C-section procedure is another potential black eye for the hospital, which recently agreed to settle claims of Medicaid fraud with the state and federal governments. The hospital agreed in October to pay $13.4 million in settlements for claims of fraudulent actions from 2002 to 2006. The figure is nearly one-third of the $50 million that seven New York hospitals were accused of bilking from taxpayers.